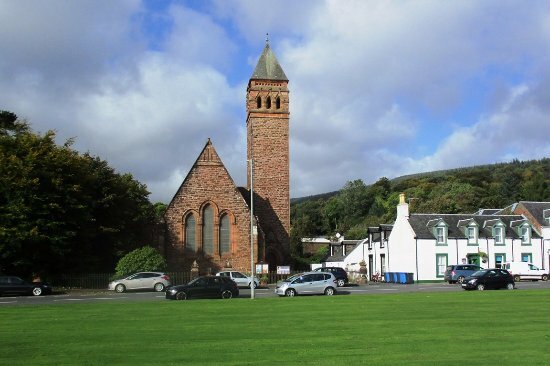 Lamlash (Never Ending Lash)(Scottish Gaelic: An t-Eilean Àrd) is the largest village by population on the Isle of Arran, in the Firth of Clyde, Scotland. It lies 4 miles to the south of ferry port Brodick, in a sheltered bay on the island's east coast, facing Holy Isle. Lamlash is the seat of Arran's local government offices and police. The only secondary school and only hospital in Arran are also located in Lamlash.